There has been a deluge of analytical pieces doing their best to draw whatever insight can be found in the mess of words that attempt to describe CCP’s new sov mechanics. The foremost of these is the write up introducing the troll ‘ceptor. 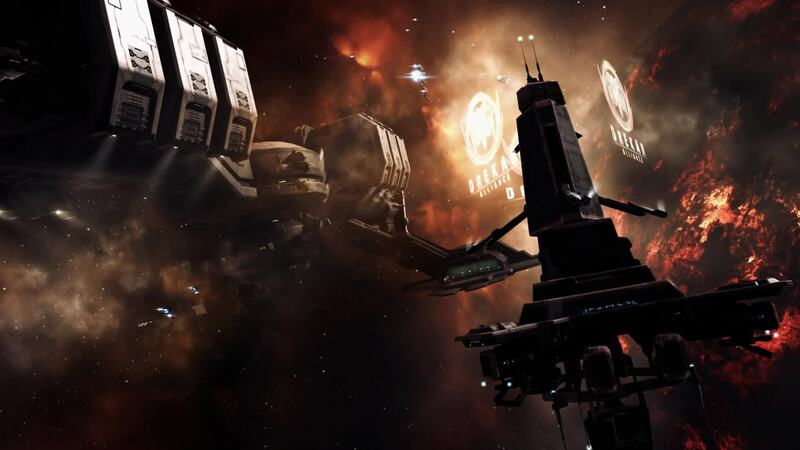 The concept is elegant, and easy for any EVE player who has PvPed to grasp intuitively. “Put an entosis module on an interceptor,” is pretty straightforward. The troll ‘ceptor has become the poster child of doubt in the new sov mechanics. It has set the forum on fire and Fozzie, his feet feeling uncomfortably warm, has gone on record saying that he will not allow it to happen. He then went ahead and dropped the T2 entosis range from 250KM to 100KM in an effort to make the troll ‘ceptor less of thing. As Fozzie deals with that smouldering patch it is time to throw more fuel into the inferno. This troll ‘ceptor is just the beginning. A bigger, nastier troll lies sleeping in the dying meta of EVE’s sniper doctrines, stirring and ready to wake. Let me introduce you to an old friend, Stinky Pete. I am not sure if CCP has ever faced off against Stinky, but I am sure many 0.0 residents have at least brushed past him on occasion. The doctrine makes regular appearances in the big sov-wars. It is not easy for the unprepared to fight Stinky Petes. For anyone who doesn’t know, a Stinky Pete is a nullified sniper rail Tengu made almost un-probable by fitting ECCM. Petes are almost the only game left in town for sniper FCs. The other doctrines being the Windrunner Claw, and Tornados for the suicidal. I’m going to focus on Petes because they are probably still the strongest sniper doctrine. Petes can’t be bubbled. It is very hard to whelp an entire fleet in one go. The setup is annoying, persistent, and chasing them off is a pain. When fighting Petes, the choice comes down to using a frigate fleet led by a virtue prober or sniping back at them. A regular combat fleet will not have the range to fight Petes when they warp in because Petes can fight out to 200 km. A regular prober can’t get hits on Petes because of the ECCM. If a ‘dictor lands on the Petes, they can warp right out of the bubble. How do Stinky Petes relate to sov? They prey on entosis ships. 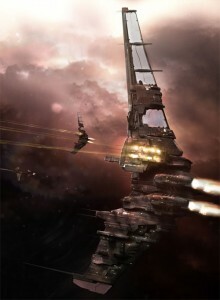 Because entosis ships cannot receive remote reps and cannot warp, they do not have access to the regular methods a ship would use to try to survive snipers. When 50 Stinky Petes show up the entosis ship just has to sit there and take it up the a-… I mean take it in the face. A few seconds after coming under fire there is no entosis ship, just a wreck. This also applies to troll ‘ceptors because rail Tengus can track ‘ceptors at range just fine. Even tougher subcapitals don’t last long; fifty Stinky Petes can down a 300K EHP Dominix in roughly 20 seconds. When pursued, Petes might not be able to stay on grid long but that is just fine for them. It doesn’t take much time at all to kill a ship that is not receiving remote reps. A sov warrior does not need to fight for the grid. As soon as the enemy activates their first entosis mod, the sov warrior can just warp a small fleet in at range and snipe the entosis ship. After being on grid for a handful of seconds the fleet can bail back to a safe location and prepare to do it all over again. The concept of simple grid control is laughable. Against this tactic, the only thing that prevents a sniper from drawing out a sov fight indefinitely is totally denying them access to the grid for any period of time at all. Utter and total grid dominance is required. It needs to be made very clear that Stinky Petes are counterable. When Petes are alone and nothing else is contesting the field, they can be contained, using the aforementioned virtue prober frigate fleet or counter sniper fleet. A Tornado fleet is a pretty cheap counter to a Pete. We are talking about before the Tornados get bubbled and bombed. PL only got away with farming Brave with Petes half a dozen times or so before brave figured out how to stop it. Some specialized fleets are required, but it can be done. That is the troll. Once half the defenders have switched to tackle ‘ceptors and the other half have refit to gimp sniper setups, it is the optimal time to drop a real brawling fleet on them. The Petes trim the hedges and the main battle line rolls in for the kill. There is a great degree of synergy between Petes and heavier doctrines. While the main battle line, capitals, battleships, T3s, or whatever, chews through its victims, the Stinky Pete fleet can cycle through the other beacons in the constellation making sure no entosis ship can make progress. Countering the Pete fleet takes resources that would otherwise be fighting the enemy main battle line. To CCPs credit this creates a hugely diverse environment. There will be snipers, trollceptors, frigates trying to catch snipers, bombers trying to bomb everything, and who knows what else. It will be a whole environment of people trying to be assholes to one another. Each will have their favorite method of trolling the next guy over. The main goal will be tying up every other grid to prevent entosis with as much manpower efficiency as possible while the main battle line slugs it out somewhere. Skirmish FCs are going to get more primetime. Some people will want to cut through the mess. The serious business counter to the whole sniper thing is the entosis triage carrier. That ship can withstand short bursts of sniper fire until the snipers are chased off. Yeah. That would work pretty well. Petes don’t counter capitals. PL has only lost a few handfuls of Archons to Petes. Those guys were all idiots. So it should be fine. Speaking as a PL pilot I’m always happy to see more triage carriers on the field. Now which super did I store my Tengu in?